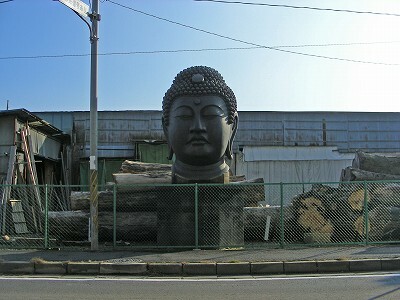 Let me share some pictures of a unique great statue of Buddha in Japan I found lately. This was reported by a Japanese blogger. 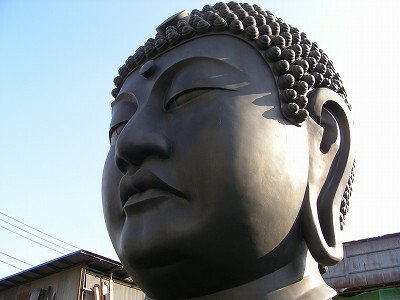 Huge Buddha’s face. Just let you know, he didn’t zoom in though. It was put in the middle of an ordinary street. 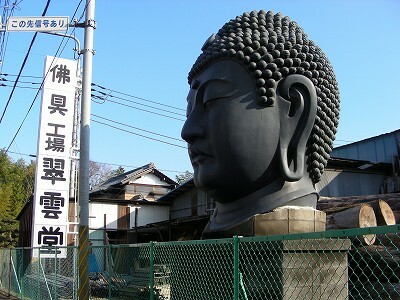 A huge face on a street all of a sudden. It seems to be a Buddhist altar fittings factory. And the huge face might work as an ad. Spirit photography!? No, it is not (LOL). 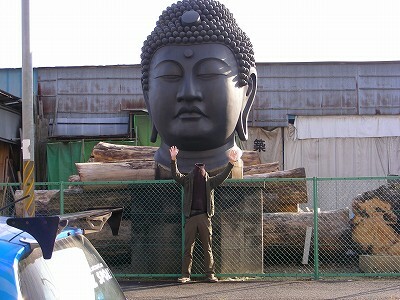 The blogger stood in front of the head while hiding his head to be looked like himself as Buddha. It is powerful, isn’t it? It may be scary to see in the night. I think if they add illuminations on it, the advertising may be more effective.